Emotional intelligence (Ei) is the single-most important thing every person must develop in order to have successful careers and home-life. Contemporary research has been proven that Emotional Intelligence is directly related to each person’s career success by as much as 95%. 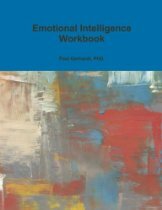 This workbook teaches readers what emotional intelligence is. Use each easy step-by-step section to build your Emotional Intelligence. Visit www.paulgerhardt.com to learn more.